Are We Smart Enough to Know How Smart Animals Are? by Frans de Waal explores the history and successes of a particular scientific endeavor called ethology: "the biological study of animal behavior" (p. 29). 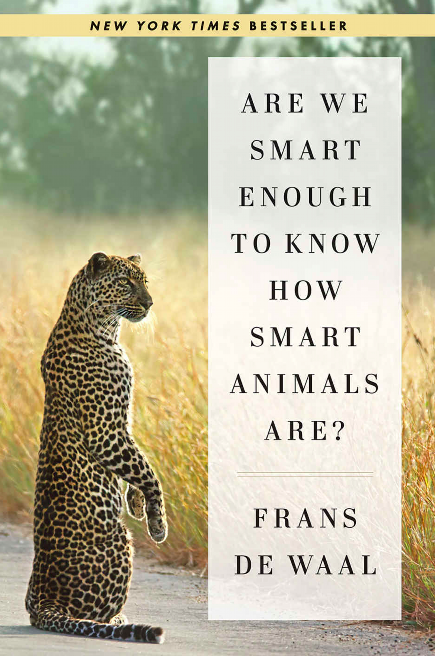 The book covers the state of the art of studying animal intelligence, non-human mental capacities, insights into animal minds from neuroscience, cognition and social interactions in various species, and other behaviors. Many of the observations made by de Waal and his colleagues over his long career in the field were in direct conflict with rigid assumptions about non-human characteristics held by earlier behaviorists. "The Japanese primatologist Tetsuro Matsuzawa tracked the development of this skill at the 'factory,' an open space where apes bring their nuts to anvil stones and fill the jungle with a steady rhythm of banging noise. Youngsters hang around the hardworking adults, occasionally pilfering kernels from their mothers. This way they learn the taste of nuts as well as the connection with stones. They make hundreds of futile attempts, hitting the nuts with their hands and feet, or aimlessly pushing nuts and stones around. 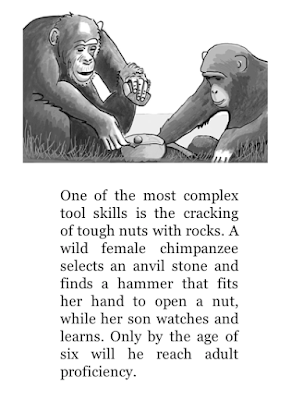 That they still learn the skill is a great testament to the irrelevance of reinforcement, because none of these activities is ever rewarded until, by about three years of age, the juvenile starts to coordinate to the point that a nut is occasionally cracked. It is only by the age of six or seven that their skill reaches adult level." (p. 80). There's much more here than I can possibly cover in a brief review. A very thought-provoking book! It sounds like a very interesting book to read. This sounds fascinating but pretty heavy and in depth -- not a book you can fly through, to be sure, but well worth the time spend.